The Bulgarian Eastern Orthodox Diocese of the USA, Canada, and Australia is one of fifteen dioceses of the Church of Bulgaria. Bulgarian Eastern Orthodox Diocese of the USA, Canada, and Australia had its origins before World War II as the Bulgarian Diocese of North and South America and Australia. 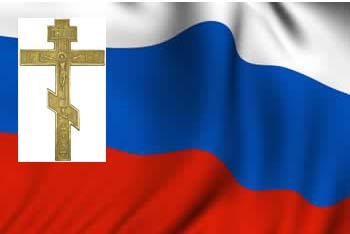 However, a result of the establishment of a Communist government in Bulgaria after the war, relations of the diocese with the Church of Bulgaria were disrupted. Under Metr. Andrei (Petkov), the diocese attempted, in the late 1950s, to join the Metropolia but was unsuccessful. In 1964, Metr. Andrei petitioned the Holy Synod of the Church of Bulgaria for his return to the Bulgarian episcopacy and to continue to lead the diocese in America. With the return of Metr. Andrei and his diocese to the Church of Bulgaria, a group under Archimandrite Kyrill (Yonchev) broke with Metr. Andrei and joined the Russian Orthodox Church Outside of Russia (ROCOR) as the Bulgarian Diocese in Exile. The ROCOR bishops consecrated him bishop. Later the Bulgarian Diocese in Exile became part of the Orthodox Church in America. The diocese is currently led by Metr. Joseph with parishes in the United States, Canada, and Australia as an overseas diocese of the Church of Bulgaria under Patriarch Maxim and the Bulgarian Synod of Bishops. The diocesan cathedral is Ss Cyril and Methody Bulgarian Orthodox Cathedral in New York City. The Bulgarian Eastern Orthodox Diocese of the USA, Canada, and Australia is a member of the Standing Conference of the Canonical Orthodox Bishops in the Americas (SCOBA). The diocese is led by Metropolitan Joseph.